There are, indeed, many theories as to why such a nation of badasses arose. Some say it was their efficient farming, their urban networks, their early embrace of windfarm technology, or their effective trading capitalism. I’m sure these were all very important, but there’s another, deeper reason. It’s that they were dudes. Seriously, these guys were the very masters of cool. They were so hipster that when they screwed up the European economy with a financial crisis, it wasn’t over boring stuff like sub-prime mortgages or financial instruments. It was over tulips. They matched effortless interior design with a sleek appreciation of how to dress cool but still look nonchalant. They were so laid-back that half their country was actually below sea-level. And they invented New York. 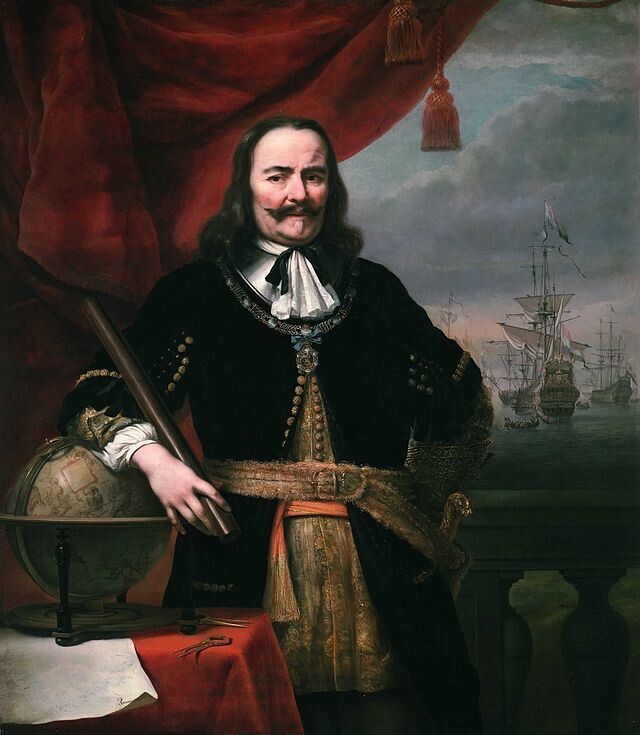 So here, then, are the top ten Dudes of the Dutch Republic. 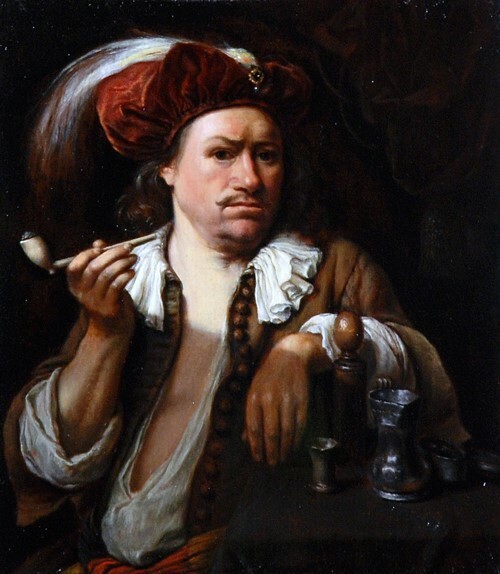 A hint of the exotic, a whiff of tobacco, and a cargo-ship load of Dutch disdain, this chap heard the Spanish were coming, calmly finished his pipe, leaned out of his beautiful glass window and singlehandedly fought them off with only his keen wit and classical education. Like a much cooler Boris Johnson, but who’s also dashingly handsome and good at doing things. 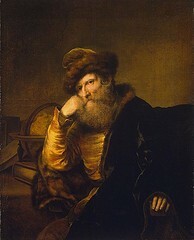 With a beard that’s so East London it’s actually in the Netherlands, this thinker knows it all. He knows his style, and he knows you will never come close to him, academically or sartorially. That withering stare is the kind of thing Empires are built upon. No wonder the Spanish, French, and English went a-running. Literally the only way he could show more contempt for your very existence would be if he shot you in the face. Which he just might. Man-handling a globe and a commander’s baton, and with a perpendicular tower of maritime power lurking in the background painting, Freud would have a fen-day with this guy. Macho Empire Dude, despite looking like a cross between John Cleese and Hercule Poirot, is pure manliness personified. His frigates, pinnaces and men of war are ready to conquer the world’s nether regions in the name of the vaderland, because – as this guy knows – Orange is the new AWESOME. This guy is sticking to classic chic. 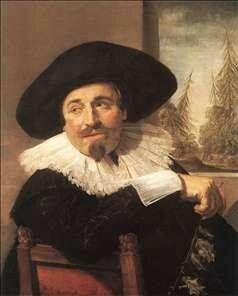 With the brim of the felt hat pushed stylishly back, the goatee-and-tache combination, and that-oh-so-urbane piece of lace neckwear, he’s leaning casually back over his shoulder to show some gentle disdain for your poor understanding of the tenets of Calvinism. Very dude. Rocking the dandy look, this extrovert dude is just dripping with contempt for your pathetic backward little country, wherever it is. What’s that you say? No coffee-shops in London? No taffeta curtains? Where is this, the moon? This guy has never fought a siege before in his life. He thinks a grenadoe is an island in the Caribbean and a trace italienne is kind of soup. But this slim, sleek, style-machine is a three-star general of cool. He’s the flintlock of fashion, the bayonet of bijou. 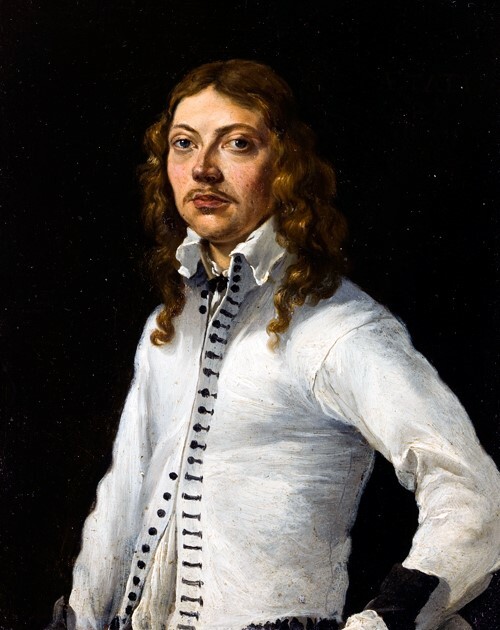 A man who anticipated 2003’s military chic by four centuries. Compared to this guy, everyone else is just a verloren hoop. Don’t ever let people tell you the Dutch have no sense of humour. 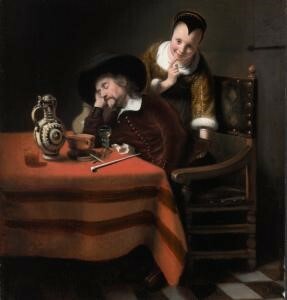 This old gent, after too much tobacco and Heineken, has passed out at his tableside. 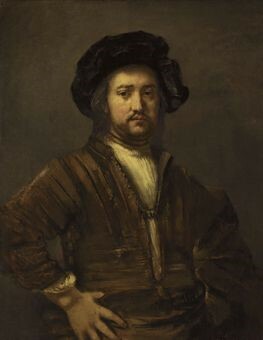 Little could he know he was about to fall victim to a prank that is so dude it got its own painting. 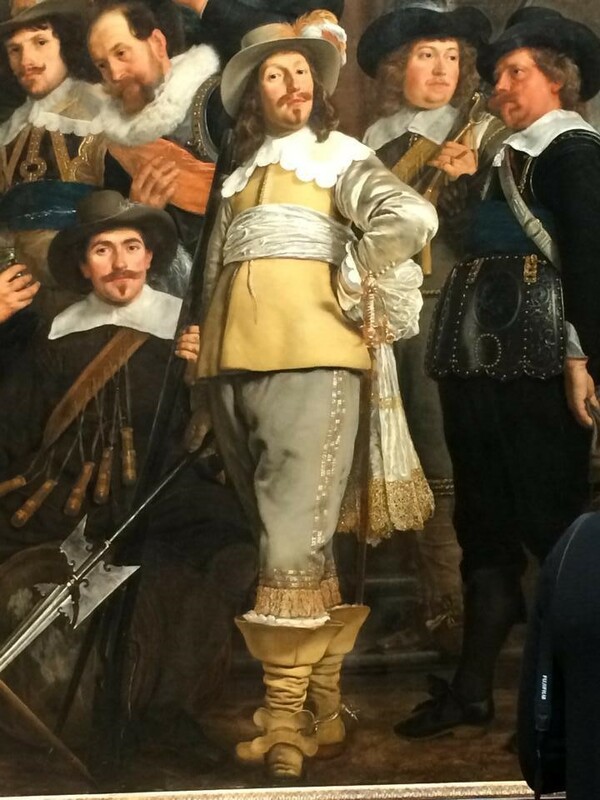 The lass on the right, with a cheeky smile and a Netherlandish naughtiness, has reached down under his breeches, and is just about to give him a wedgie. Gefeliciteerd! The felt hat, the trimmed beard, the unfussy brown overcoat, the white shift: this dude is just the epitome of casual cool. You can’t see it here, but his trousers are fashionably-boring blue chinos. His brand of disdain, meanwhile, is that specifically metropolitan one, exhibited when you discover your local gastropub has only two genuine craft beers. With his jaunty hat and statement neck-toggles, this guy is ageing like a dude. That look of slight frustration? His neighbour’s just bought last season’s style of window shutters. Idioot. In 1672, Louis XIV of France invaded the tiny Dutch Republic. Faced with a threat more terrifying than a bogie in a salad, the fearless Dutch responded in two ways. Firstly, they flooded their land. Secondly, they got this guy to challenge the invaders to a dance-off. Gathering in the streets of Haarlem, Dance-off Dude led the Dutch in a storming medley of gigues, gavottes, sarabandes and passacaglias. All the French could manage was a flimsy chaconne, and so they went home, their tails between their tights. 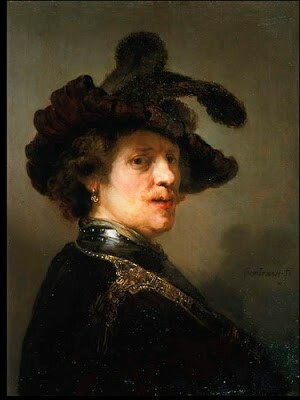 This momentous historical occasion will be the subject of the forthcoming Hollywood film Step-Up 1672: Baroque Your Body. Next Post Did Early-Modern Men Do ‘Women’s Work’? Great post. 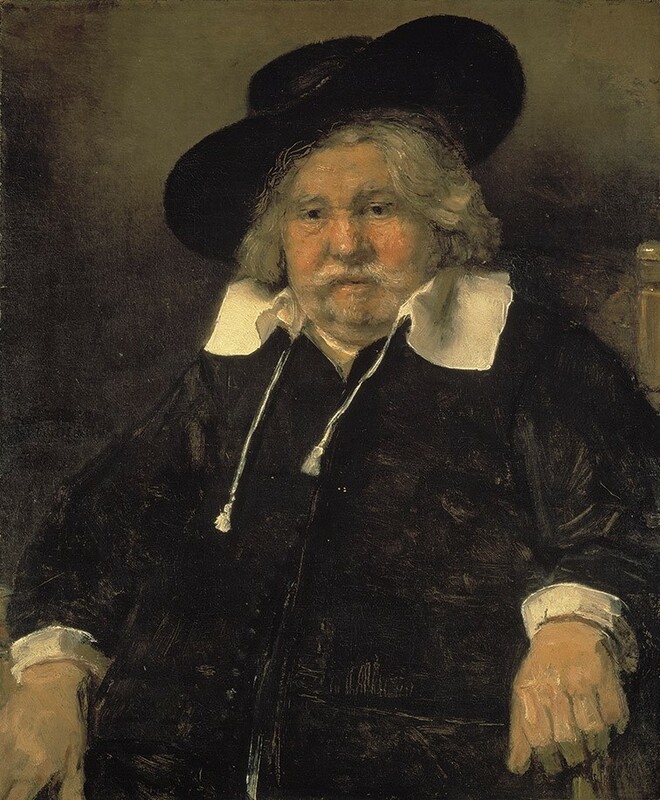 Though I think slightly exasperated dude also looks like ‘ate too much gouda’ dude. Waxed cheese, how hipster. Great post! Laughed out loud at several but ESP Dancin’ Dude. Your writing of humor is exceeded only by your fashion sense. I found this very entertaining and informative. Thank you. Hahaha, this is priceless… And very enjoyable as a Dutch dude, now bow to our STYLE!